There are no kosher restaurants in Idaho. Trader Joe's in downtown Boise carries raw kosher chicken and beef (limited selection, which varies). They also carry some kosher wines, Pas Yisroel babka and black and white cookies (OU) and Cholov Yisroel feta cheese (Chasam Sofer). Whole Foods in downtown Boise (401 S Broadway Ave, Boise, ID 83702) carries frozen kosher chicken (and occasionally frozen turkey). They also carry at least one kosher wine and sometimes some Pas Yisroel babka. Tres Bonne Cuisine and Boise Co-op carry a selection of kosher wines. Some of the Walmart stores carry Bartenura Moscato kosher wine and Pas Yisroel bagels (Western Bagels with C-K certification). Some local supermarkets, such as Albertsons and Fred Meyer, have minimal kosher sections (dry goods only). 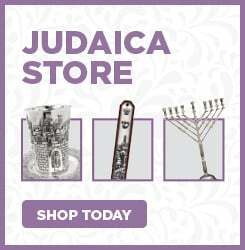 Manischewitz wine, grape juice, Shabbat candles, yahrzeit candles, matzo, and other limited dry goods are available (selection varies by store). The Albertsons at State & Veterans, State & 17th, Parkcenter Blvd seem to have a steady, small kosher section. The Fred Meyer on Franklin and the one on Chinden seem to have a steady, small kosher section. 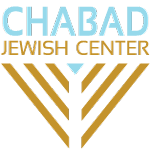 Chabad Jewish Center arranges for a community order of kosher products two or three times a year. Please contact us for more information. If you are visiting Boise and are in need of kosher meals, please contact the Chabad Jewish Center to request arrangements. We do not have a full-scale catering business but are happy to do our best to accommodate the kosher traveler. Click here for our kosher catering menu and ordering page..
Idaho Kosher is a local resource offering kosher certification, supervision, and inspection for caterers, wholesale and retail food vendors, food production companies and food transport companies in Idaho and the vicinity. Click here for more information.